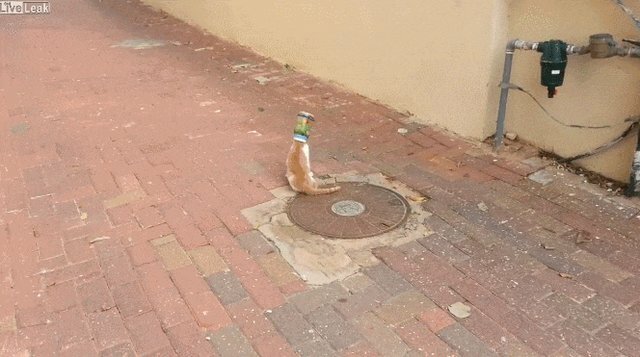 After searching for a snack and winding up with his head stuck, this cat seems to have given up hope of ever getting out of this can. 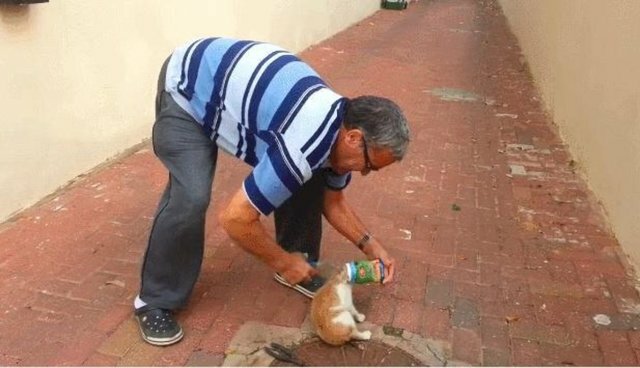 But don't worry: This awesome guy is here to help with scissors and a pair of pliers, ready to do whatever it takes to free this kitty. This isn't easy on either of them, but just when it seems like all is lost ... the can loosens! 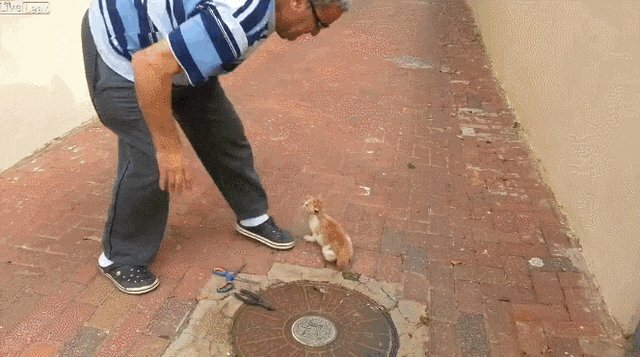 And the cat scampers away to sweet, sweet freedom. That's the proud smile of a man who knows he's just saved a life. 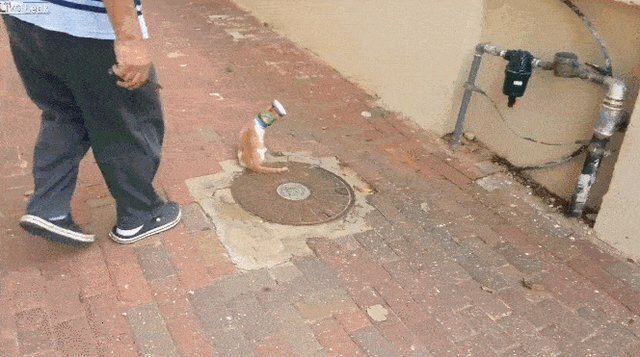 This cat isn't the first critter to get caught in a can. 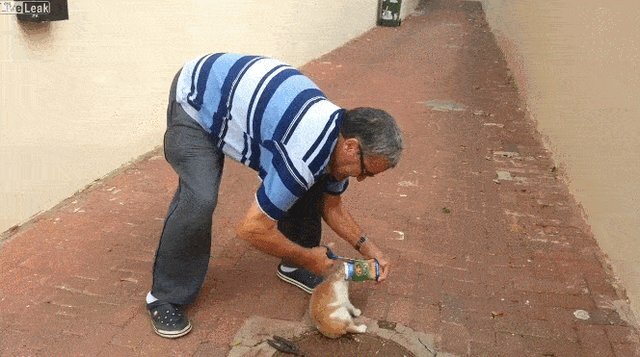 In fact, our garbage often poses a threat to animals. Check out this list of tips for safely disposing of your trash and recyclables, and click here for advice on what to do if you come across an animal in need of help.